When you are eating a very restricted diet it is important to have a few healthy treats. 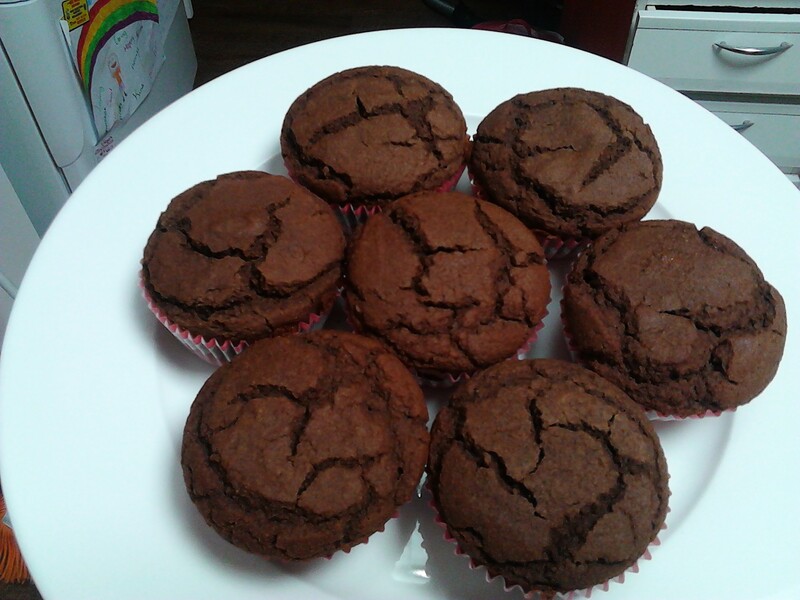 I really love chocolate and have created these lovely cupcakes that taste close to the unhealthy version but are so much better because they are filled with good quality and nutritious ingredients. It is important to remember that when replacing ingredients such as cane sugar and dairy milk that the recipe is going to taste different to what you are used to, but that doesn’t mean it is any less delicious. I don’t use a lot of stevia in my cooking and prefer to use raw organic honey but l have found that if l replace the sugar with an equivalent amount of honey that the recipe can be a bit gluggy, so l have used a combination of stevia and honey in this recipe. Stevia also has a strange after taste that can get a bit of getting used to, but l am o.k with it if it means l can have a chocolate cupcake. Buying the best quality stevia that you can is important and like any good quality product it is expensive. I can buy a one kilo bag of cane sugar for under $1 but l paid $20 for a 700g box of stevia. This cupcake recipe originally used 1 cup of sugar but l replaced it with two tablespoons of stevia and one tablespoon of honey, so the quanitities used are a lot less and therefore the stevia will last you quite a long time. A 500g jar of organic raw honey also costs around $10 a jar which is a lot more than regular honey, but l think the cost is worth it as once the honey has been processed it loses a lot of its goodness and has a higher glycaemic index. If you do want to use regular honey then try to buy organic, and l have seen these in local supermarkets recently and purchased a 1kg jar for $10 which l will use in my children’s pancakes. Have a cup cake tray prepared with the 12 pans lined with paper patty pans. Place mix evenly using a spoon into the tray. Bake in a pre-heated 180 degree celsius oven until firm. This recipe makes twelve small cupcakes and they are delicious eaten warm. They can be individually frozen and packed with your lunch as a snack. The cupcakes are quite small as these are a treat. If you want them larger then you could use a muffin tray and muffin patty pans and make less, or you could eat two cupcakes at a time. I think it is better to just eat one and have something extra with it such as a small handful of raw nuts. Enjoy!